Ladies and gents of OOTOB, I present to you today a guest post from one Revital Belz, who lives in Israel. 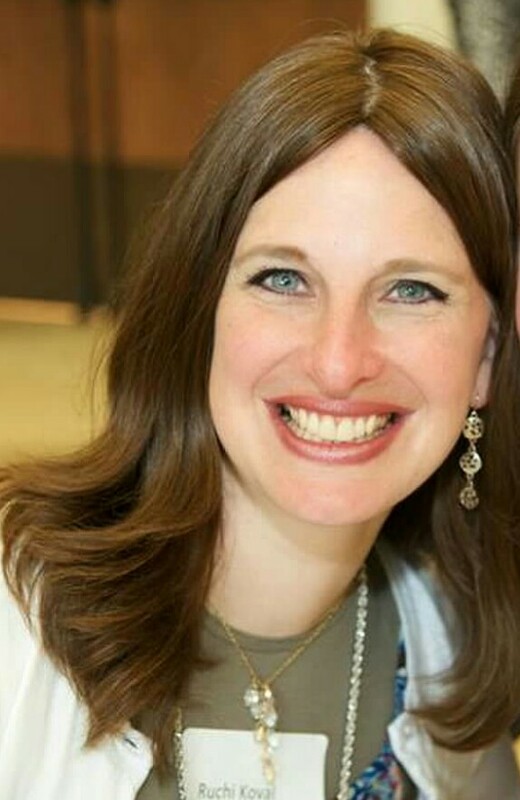 She blogs at ajudaica.com and is sharing her viewpoint of the current conflict in Israel. I know social media and the blogosphere have been abuzz with information and emotions, and here she is in her own thoughtful and inspiring words. Revital will be available over the next few days to respond to your thoughts and comments. was being cocooned, distant as it were from the true Israel. flowers, and the multicultural population co-exists peacefully. Fast forward to July 2014.
into if necessary. But I will not be bullied. it’s OK to be scared. I guess the soldiers are scared too sometimes. more love for my fellow man, extra G-dliness in my daily life. We are all soldiers at the front! I respect Revital's fortitude and dedication. It worries me that here she represents herself (and presumably everyone living there) as a soldier and her home and everyday world as a battlefield. I can see that thinking of it that way is a way to gain strength. But that also means that there is no "civilian" zone in her imagination, no non-militarized space or person. So it's one huge battlefield and everyone is a soldier. That blurring of boundaries is worrying. It's a more obvious lightning rod, but the "so much evil down there in Gaza" phrasing also disturbs me. SBW, there is no civilian zone in this war, on either side. Hamas rockets have hit as far north as Haifa and as far south as Eilat. They are aimed both within and without the 1967 borders. They land in parking lots, apartment buildings, and fields. Israel is a tiny little country – the size of New Jersey. There is no safe space and there is no one who is not under constant threat. It is not Revital's imagination that there is no non-militarized space or person. That is the reality of fighting a terrorist organization. On the other side, Hamas has a deliberate strategy of using their civilians as cover. They shoot their arsenal from schools, hospitals and residential areas, intentionally eliminating all distinction between civilian and militant. Are all the people of Gaza evil? No, certainly not. But their quasi-government leadership and their culture are more inherently evil than most Americans can possibly comprehend. But when is there ever a clear demarcation of civilian areas in war? Was there in Bosnia? Serbia? Berlin or London in 1942? Atlanta or Richmond in 1862? It is a nice fantasy, but not the way war works. War is Hell, whether it is in Vietnam, Afghanistan, or Gaza. Hi "should be working" and thanks for your comment. I guess it is disturbing to think of the country as one battle zone, but that is the reality now. Wherever you go, whatever you do, life here is influenced by the situation which confronts the country and the people. Maybe it’s difficult to imagine this from far, but that is how things are here. What bothered you about “evil from Gaza”? Terrorists popping up to murder people in their homes, shooting missiles at us and ready to sacrifice their women and children? Not evil? Miriambyk – Thank you for expressing it better than I was even able to. and why does the phase "evil from Gaza" bother you? Can't we consider the ROCKET SHOOTERS who are sending off rockets from residential areas on to residential area as EVIL???? We are fighting ruthless terror organization which is supported by brainwashed population, there are no human rights in Gaza, if you protest you get shot, women have no rights and are abused on daily basis. If this is no evil, what is? Most of us in Israel wish the Palestinians have good lives, but their only goal is to kill us because we are not Muslims. Thank you for your response Anonymous. I wish no harm to anyone living in Gaza. I wish that they had built schools, libraries and hospitals with the funds and supplies which were given them instead of tunnels and missiles. The only solution to all of this conflict is if the civilians in Gaza can live fruitful lives and receive education and health care instead of being terrorized by the Hamas who they voted in and who terrorize them. I wish they would realize that this is to their detriment and that it could be very different and better for them. I contest 2 points of Anonymous' post. First s/he seems to say that "they", as in all Palestinians, want to kill us. SDK and Revital both suggest otherwise. Second s/he says that their only goal is to kill us because we are not Muslims. This overlooks the historical background to the hatred, none of which excuses murderousness but it is not just "because we are not Muslims". They fled or were expelled from areas now belonging to Israel, and they live in terrible conditions that they perceive as imposed by Israel (lots of room for argument here–what about Egypt, what about Israeli security, etc.). Again none of this is to excuse murderous behavior, but it is not just because Jews are not Muslims. The difference in perspective that I see between what Anonymous wrote and what SBW wrote is a matter of determining what are the root causes vs. what are the symptomatic causes. While I don't think that *all* Arabs or *all* Muslims want all non-Muslims dead, that is indeed the core issue for Muslim Fundamentalists (Taliban, Hamas, Islamic Brotherhood, Khomeini. Pick a name, they are all the same.) They are motivated, first and foremost, by a deep hatred of all things non-Muslim, Western, democratic, and secular. Unfortunately, SBW, I think that the historical explanations and current mistreatment explanations are the symptoms and the excuses, not the root of the matter. Over the past sixty years the Egyptian and the Jordanian leaders chose to make peace with Israel. It has benefited their people and their economies. Many Israeli Arabs have come to love their country, even though it was forced on them, because of the opportunities and (near) equality it provides. Over the same sixty years, the Palestinians have received billions of dollars in international and Israeli aid. The leadership lives comfortably and sends their children to be educated in Europe. If they wanted the masses to have proper housing, utilities, food, education, and opportunities, they could have made that possible. It has been an intentional strategy to keep the Palestinians in ignorance and squalor, festering with anger and discontent. As Americans and as Jews, we can't afford to be naive about what underlies Hamas's actions. SBW, most of the Palestinians never fled from Israel and weren't expelled; they hadn't even been born in 1948 or 1967. Palestinians are the ONLY group in the world who pass down their refugee status from generation to generation ad infinitum. Furthermore, they are the only group whose members are considered refugees if they or their ancestors lived in what is now Israel for just two years before 1948. And they are the only group who retain their refugee status when they become citizens and residents of another country. See http://www.middleeastpiece.com/arabrefugees_unrwa.html. If you think the cause of the hatred is that they were expelled, then how do you explain the massacres and other violence before 1948? If it's territorial, then how do you explain the fact that the PLO was founded a few years before the Six-Day War? As for terrible conditions, when Israel has tried to improve their conditions it has been condemned for it by the UN. But now the resentment is there. Do you think it is a simple undying hatred of non-Muslims and especially for Jews that is the deepest, eternal, undying cause of it and that is the only root cause? Or is it a layering of cynical, strategic maneuverings on top of poor social conditions (conducive to resentment) and other contingent causes? Miriam, in other words, are you saying that the root cause is hatred and the historical cause is secondary to that? I would reverse that. Historical causes, which are contingent (because things could have happened otherwise or been made to happen otherwise) are in my view primary. A sort of comparison: A few hundred years ago, the Catholic church was a much bigger enemy of the Jews, persecuting and murdering et al. Now that's not the case (we can quibble about doctrine and various diplomatic missteps, but I'm guessing no Jews are afraid of the Catholics coming to get them these days). Popes make gestures of peace and acceptance (again we can quibble, but no one in church leadership is interested in killing Jews nowadays). History changes things, can even mollify resentments and hatreds. I don't believe in ungrounded, eternal hatred. There are always reasons, not that it excuses anything, but there are reasons. I think your comparison is an apt one. I believe in the ability of humans to change. I can hope that someday there will be more Muslim leaders speaking out for peace and willing to change doctrine to make it possible. But the current reality is that it is part of their (again, Muslim fundamentalists, not all Muslims) dogma to hate, kill, destroy, eliminate. This is taught to their people along with their ABCs. There are countless videos available on youtube that show the level of indoctrination and brainwashing going on. Did it matter to medieval Jews that they wanted to live peaceably when the Spanish Inquisitors wanted to burn them at the stake? Surely none of them could have foreseen the kind of relationship the Catholic Church now has with the Jewish community (or that Spain is now offering citizenship to descendents of expelled Jews) but our current reality doesn't change the horror of the reality then. Yes, I am saying that at this point the historical and situational causes are secondary because they have had countless opportunities to change those situations and have repeatedly refused. Israel pulled out of Gaza in 2007, leaving infrastructure and farms in place. It was a huge concession from Israel, and required removing their own people by military force, person by person. Yet instead of taking advantage of rows of greenhouses and beautiful homes, the Gazans blew them all up. That was a choice, a choice of hatred over progress, a choice of doctrine over the well being of their people. And as DG pointed out, this hatred preceded the 1948 founding of the State of Israel. The Hevron Massacre of 1929 is the most obvious historical example. Do I believe in peace in theory? Yes. Do I understand that the Palestinians have legitimate complaints against Israel? Yes. But none of that is relevant to me when rockets are landing daily in Israel, as they have for YEARS now. Israel didn't start this war, and unfortunately I don't think it will truly end any time soon. This particular military action may end in a truce, but a change greater than my imagination can produce will be necessary for true and lasting peace in the region. Eternal? Nah. For one thing, that would mean predicting the future, and I'm no good at that. But at present, the Islamic fundamentalists do hate everything to do with non-Muslim, Western, democratic, and secular society and culture. Refrigerators don't count. As far as I know, they have nothing against technology. Could things have happened differently? I have no idea. I'm no better at alternative history than I am at prophecy. But to assume that there are reasons having nothing to do with religion is to interpret someone else's motivations based on your own beliefs rather than theirs. Probably beneficial if some quotes from the Holy Koran is added to this stream line. For instances Jews are addressed as "pigs, infidels, slaves"….Action to be taken against the Jew includes "Find him behind every rock, shed blood, rocks at his body"….not the words of engagement, cordial building of relationships, coexistence or friendliness. Nothing to do with occupying land, living in poverty (have you seen some of the high-class, elegant and ritzy areas of Gaza?? ), or lack of resources or job opportunities. This is a religious war!!!! I don't think it's unreasonable for every person on both sides to feel that they are part of a larger conflict and that they have a duty to their people. Most outside observers would see a difference between attacking a soldier and attacking a yeshiva student but Israelis don't feel that difference, in my experience. Israelis are not distant from their soldiers the way most Americans, especially Jews, are distant from our military — every family has watched its children grow up and become soldiers, every citizen knows someone's child who has gone to Gaza. When a soldier dies, no one says "well, that is the price of war". Everyone mourns together because it could have been anyone's child. The death of every solder (child) is keenly, keenly felt. I do not think Americans can say the same. Most people would say that an attack on soldiers is qualitatively different from an attack on civilians. But there are no groups on the Palestinian side that *only* attack soldiers. Every Palestinian group that uses violence uses it against whatever target it can manage to hit — soldiers, women, children, infants, settlers, non-settlers. We can also see that anti-Semites are unable to differentiate between Israelis and Jews and that Jews and Jewish institutions are attacked whenever there is war in the Middle East. So this distinction between civilian and soldier, between Israeli and Jew, is blurry. I am on the Left, I believe in democracy and peace, but I am not stupid enough to believe that violent anti-Semites will distinguish between myself and Bibi Netanyahu. On the flip side, people in West Bank villages and Gaza refugee camps know each other intimately as well. Gazans who hate Hamas may still turn out for a funeral because they all agree that they want to end the blockade. There are also groups within Israel who reject the difference between militants and civilians, such as Kahanist groups who support total war and the writers and supporters of tracts like Torat ha-Melech who have an expansive definition of the enemies of the Jewish people who can be killed, extending (for example) to the babies of Palestinians who might grow up to harm us. This, unfortunately, is the exact same argument used by terrorists for harming Jewish children — that they will grow up to be soldiers who will support the occupation, etc. I personally have no answer for what to do about groups like Hamas. I don't believe that I know more than the IDF about how to keep Israelis safe in the short-term. I do agree with most of the heads of the Shin Bet that in the long-term, there is no military solution to this conflict, only a political one. SDK, you seem to be trying to draw a moral equivalence between the two sides. But there's a very big difference. Hamas acts on its desire to kill Jews and has the support of a large percentage of the Palestinian population; there are only a few Jewish Israelis who support killing Arabs, and almost none who act on that. Kahane favored expelling them, not killing them, and he was banned from the Knesset for such views. Most anti-Arab incidents by Israelis are vandalism (e.g., graffiti), not violence. It's difficult to talk about problems without implying moral equivalence. If you can think of a better way to phrase such comments — one that does not imply that everyone is equally bad — I'm open to it, as I certainly don't believe that. I don't think there is any excuse for terrorism, not even as a tactic in some theoretically just war. There are always other options. Particularly when the news media follows your every move, other options are not only available, they are both obvious and more effective. If I were a Palestinian, I hope I would be one of the people railing and railing against my own people for choosing immoral, soul-destroying options that will eventually come back to corrupt my own society. But I will plead guilty to being more concerned about my own people. There are trends within Israel and even within the American Jewish community that are disturbing. They do not have the support of large parts of the population but they are also *not* marginal. Between graffiti and murder there are a range of bad behaviors like burning down fields and orchards, destroying water supplies, beating people up. We would call this "rising anti-Semitism that will eventually result in murder" if it were happening in Europe to Jews (which, in fact, it is). Even graffiti has consequences. Seeing "mavet l'aravim" (death to the Arabs) on many empty walls in Israel is not a great thing. Of *course* the IDF is better than Hamas. Hamas is not a measuring stick any sane person can use to judge human behavior. For me, the behavior of our enemies over the centuries is a study in what not to do, how not to behave, how not to manage power. For me, this is the most important thing we can learn from our suffering, although army > no army is a very close second in my worldview. Dear SDK; Thanks for your thoughtful reply. I definitely think Jews should always be aware of their obligation to be a light unto the nations and need to behave accordingly. My Holocaust survivor parents always told us about the almost total absence of acts of revenge towards Nazis right after liberation. The IDF was drawn into this conflict as a result of missiles to our civilian population. We would be overjoyed to live in peace, and in harmony with our neighbors. I am sure there are many people in Gaza who would say the same. Somehow the radical, fanatic voices are the ones who always make themselves heard, and the moderate element somehow by virtue of their moderation aren’t as vocal and aggressive about getting their message across. I still believe in the phrase from Psalms 85:11; “…Truth shall spring from the earth and righteousness shall look down”. A beautiful interpretation which I heard, that the righteousness from Heaven will only come down when the truth will spring from the earth, meaning from the people on earth. Each person in his small world exposing and promoting truth will in the end cause righteousness to come from Heaven. Full circle to my blog, each person is an integral and important part of the whole. Every man counts. I think I deleted my own comment by mistake. I had written that I am of course a totally armchair observer here, way far out of the experience of that part of the world, and it is obviously nothing like in the USA, where we could be "at war" somewhere else and it doesn't touch our everyday except in the news and if we have loved ones in the military. My imagination was that if everyone and everything in everyday life is militarized, there is no "outside" of all that that could serve as a kind of everyday placeholder for "life without war". Which may (my armchair speculation) also help explain some small part of the intractability of the conflict: a small space, everyone involved, hence no placeholder for "without war". Hard to say what I meant, but definitely the experience of the war as everywhere and involving everyone is clear from what everyone is saying. Despite what I said, the Israelis I know definitely hold a place in their hearts for life without war and my reading of Palestinians writers, novelists, and journalists implies that they too have this experience. Dear Should be working -Thanks again for your second reply. It would be nice to have a quiet non-combat zone. The sad truth is that there is no such zone now and the children living in the south of Israel have been living in this kind of tension for years now. It doesn’t make the news, but they have consistently higher levels of tension, poorer performance in school and other problems. This is one of the reasons the government has been trying to obtain quiet for the south of Israel. These are the true victims of war, and I’m sure it’s the same in Gaza. Somehow one thinks that the adults of the world could manage to solve their differences peacefully if not only to protect the children, and enable them to grow and live in normal surroundings. The purpose of OOTOB is Jewish unity via mutual respect and education, and we reserve the right to decline or edit any comments that are rude or mean. Comments are moderated, so it may take some time for your comment to appear. Thank you for your participation! © 2011-2016 Out of the Ortho Box All Rights Reserved.